This piece is titled "Beach Bum Bling". These three Cape May Diamonds are flawless perfectly matched oblong shaped, ten karats each. 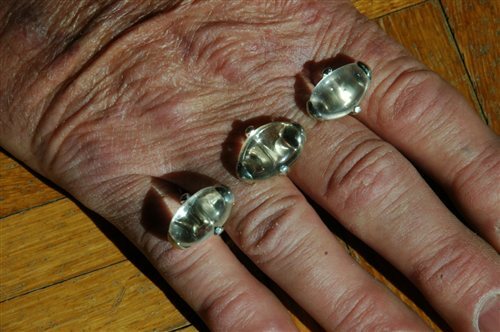 The dual-banded design Sterling Silver mount, make these stones appear to "float" on the wearer's hand.